Orhan Pamuk identifies himself with Istanbul. In masterly fashion, he fuses his own memoirs with that of the city. Their hearts vibrate as one, "in sickness and in health". The sickness he refers to frequently is huzun, the enveloping melancholy. I am an urbanite and have always asked my children, as I have pointed to a skyline, or to the shores of a lake: "don't you love your city?" When my son and I bike through the lanes of Geneva and into its outskirts, I scream out to him: "this is your city, peddle onwards!" When I traverse the footbridge that crosses Shaikh Zayed Road and we look at the traffic fly beneath us through the forest of highrise buildings, I manifest my enthusiasm: "feel the pulse of your city!" I encourage my kids. Orhan Pamuk has one city to identify with. I could easily count four cities that I pride as my own. I did live in a village called Northampton in Massachusetts, for three years, however its status as a village or small town doesn't fit on this post, no matter how the quaint, organic and alternative character affected my maturing years in college. 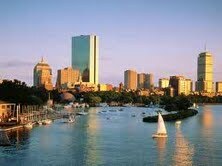 I have posted a blog about Boston, my town, as it is Ben Affleck's! I have studied there for 9 years, dated my husband and delivered my firstborn. How is that for milestones? I know its every neighborhood, studied on every campus, danced in the trendiest nightclubs, shed weight at Boston Body, walked on Storrow Drive, drove on Memorial Drive, trudged in the snow, gazed at the fall leaves, forgot my umbrella in April rains and lazed in summer days. I have always considered Geneva as a female, with a name like that. 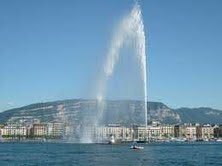 At first, the Swiss city was a stern, cold and unfriendly woman I had to battle with as an adolescent in boarding school. Then I discovered her as a more approachable and pleasant city when I came back as a newly wed. As a mother, Geneva returns her favor to me and becomes maternal. My children love its every street, its every park, its every shore, its every neighborhood. Perhaps the city I associate myself with the most is Dubai, for the sheer number of years I have lived there. Sunny, welcoming, dynamic, warm, cosmopolitan, modern, glittzy, Dubai always has a promise for more. When I grew up there, my parents knew there was something around the corner, a new expansion, a new development. 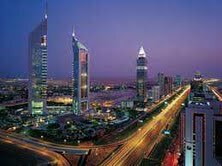 My husband and I resettled there when Dubai became a prosperous miracle and we recognized it as such. My family will always be overwhelmed by its Baraka. Beyrouth is the enigmatic city where I was born, where my roots are, whose name is quasi appended to the history of my family. I have always been awed by my relatives' identification with this harsh city. The Civil War has left wounds, visible in the crumbling building of Ayman Baalbaki and less obvious in my personal feelings of being rejected as an emigrant. But I have reclaimed my city as a right and believe I have been colored by its cultural wealth and Levantine mentality. I always claimed I would call my next daughter Beyrouth because I consider the name to be illusive, like a legend. These cities are not comparable to Istanbul in history, size or cultural importance. Orhan Pamuk writes:"For anything we say about the city's essence, says more about our own lives and our states of mind. The city has no center other than ourselves." Perhaps I can only come close to his experience with a collection of four cities I call my own: Boston, Geneva, Dubai and Beyrouth. My city was Beirut when I opened my eyes to my first memories.That was Beyrouth of the early fifties,an Ottoman Town being transformed to a cosmopolitan City,the Paris of the Middle East.It was breaking from its cocoon to become the colorful butterfly that burnt its wings and almost died in the 15 years of an ugly civil war. My Beyrouth was visiting my paternal grandmother in her mid 18th C home built by my great great grandfather overlooking the Mediterranean from top of a hill.The art nouveau velvet green and maroon furniture,the huge radio in the dining room,the mother of pearl closets and mirrors,the marble pillars and the indoor arches.The sweet smell of the big house is still deep in my nostrils,the giggles of the little cousins,tens of them.The face of the beautiful old lady with her deep blue eyes,and the white vail covering her hair. Sitting with her friends around the coal brass heater in winter,and the smell of the jasmine flowers in summer. Pamuk and I have so much in common.Yet he was part of the Ottoman Empire that ruled my small country for five long black centuries.Yet the flavor was still there when I grew up as a little boy in the lovely city of Beyrouth.Pamuk reignited good memories of the Ottoman life that I have passed to my children and hopefully to my grandchildren. This was a beautiful entry, and the comment before me was of course special, coming from our father, who grew up connected to one city, unlike us. As you wrote in your posting, our identity is made up of so many different places and experiences, languages and emotions. I remember thinking that other than Dubai, I hadn't spent longer than 3 years in any given city: 3 years in Geneva, 3 years in Palo Alto, 3 years in DC. Each of those increments of time saw a different stage of my development, from a teenager into a law student. Now NYC has become my city, and I have been living here for 7 years, which in my lifespan is considerable. Deep down I have planted my roots here knowing well that I will be here for the long term, and that I am raising my children here. I am no longer in search of the next accademic program or the next stage of my life. But can I call myself a New Yorker? Possibly. But when people ask me where I'm from, I still answer Lebanon, the one country I have never lived in..... Identity is such a complex emotion, especially when you are product of various backgrounds and languages. My prime years together with my mature years have been spent in a city that people could not pronounce and have mixed it up always with Abu Dhabi.Dubai,the city of Gold,Light,and dreams,has come to the forefront in the past decade as a shooting star that almost fell down three years ago. Nevertheless Dubai of the past 40 years was a sleepy trading post where everyone knew each other,where there was one hotel,one bridge and couple of restaurants.It was the village where people would have a siesta between 1-4 pm,and an imposed curfew after 9pm.It was the place where the only Friday outing was to picnic in the desert and find a lonely tree to sit under.You had the choice of one Friday buffet in the old Bustan Hotel, an open air cinema and an asphalt tennis court.The Iranian Hospital was the only green spot in town,and Reuters published a small stenciled daily for news. 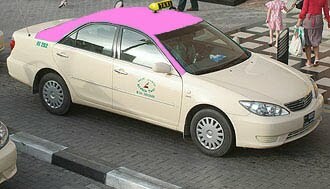 Dubai of today is the glittering city of choices for my children and grandchildren.